Mikayla Simpson (born 16 February 2000), popularly known as Koffee, is a Jamaican singer, rapper/DJ, and guitarist from Spanish Town, Jamaica, She’s also a former student of Ardenne High School. Raised in the Eltham View neighborhood by her mother, an occasional actor and a Ministry of Health employee, she sang in her church choir, taught herself guitar at age 12 on an instrument borrowed from a friend, and began writing lyrics inspired by listening to reggae singer Protoje. In 2016, she won her school talent show without realizing that the informal show at which she performed in her school cafeteria had been an audition. She went on to learn music theory and vocal technique in her high school choir. “Koffee” is a nickname friends gave her when she ordered hot coffee instead of soda on a hot day. In 2018, Jamaican reggae/dancehall singer, songwriter, and DJ Cocoa Tea brought her on stage at Rebel Salute. Protoje asked her to perform with him. Chronixx invited her to join him a BBC Radio 1Xtra broadcast from Tuff Gong Studios, and she went on to tour with him in the UK at venues such as Bush Hall and at Alexandra Palace. Koffee and Chronixx appeared on BBC Music Introducing…LIVE on November 10. Her December 2018 single “Raggamuffin” called out gun violence and governmental neglect of the youth. 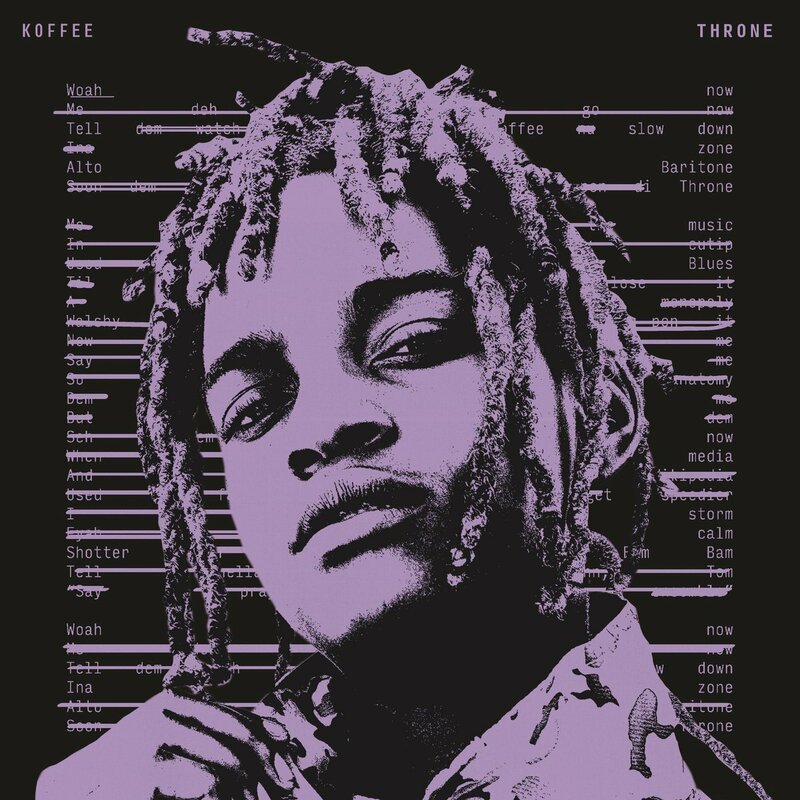 BBC Radio 1Xtra named Koffee one of its “Hot for 2019” artists. Her next single, “Toast”, was produced by Walshy Fire of Major Lazer. Both Chronixx and Proteje appear in the video. Also in 2018, she signed with Columbia Records UK, and Rapture, her debut EP on the label, was released on March 14.